The Ahlers Center for International Business designs tailored executive education programs for universities, companies and institutions from around the world. Some of our previous clients have come from Europe, Asia, Latin America and the U.S., with program lengths of one day to several weeks in duration. If you have specific strategic goals and learning objectives, we will work with you one-on-one to create a custom learning experience for your executives. Examples of custom programs previously offered include topics such as International Business Strategy and Trade, Innovation in Higher Education, Implementing Strategic Initiaves, International Sales and Key Account Management, and Innovation and Design-Driven Strategies for Competitive Differentiation. 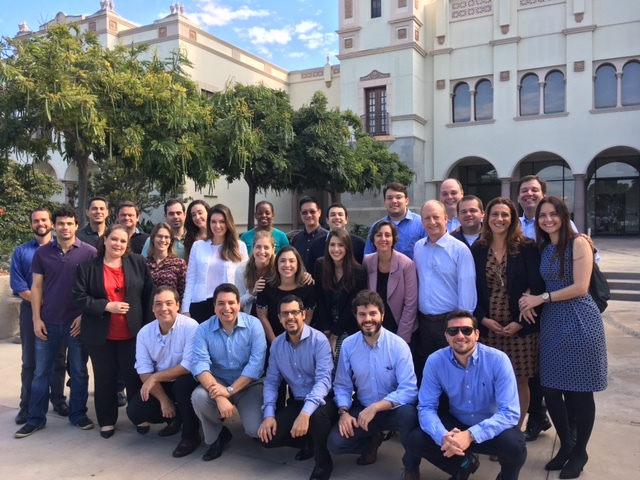 Since each custom program will be taught by distinguished USD School of Business faculty and industry practitioners, your team will receive the most relevant and forward-thinking global training. The program can be held on-campus or offsite at your organization's offices.